After a wonderfully sunny weekend in Seattle, we were greeted this morning by wind and rain. Typical. 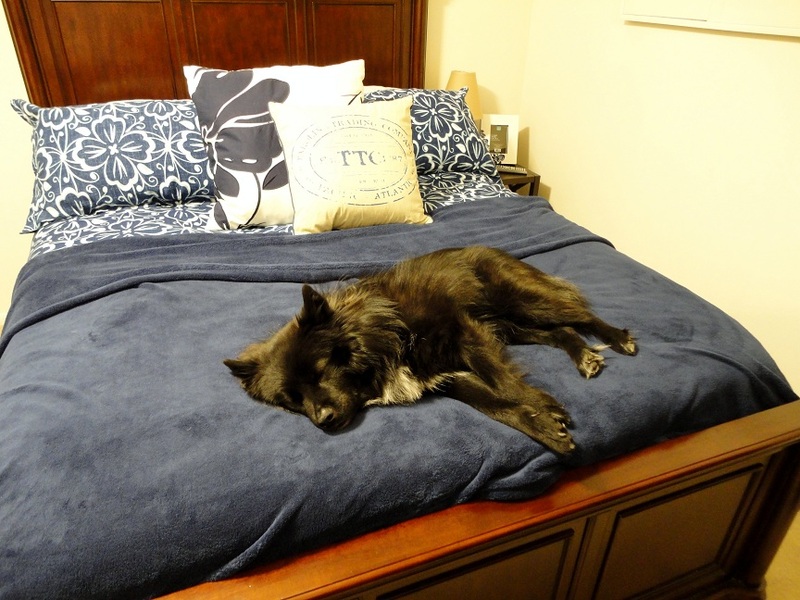 This was the scene after I begrudgingly made the bed. Someone wasn’t quite ready to start his day. 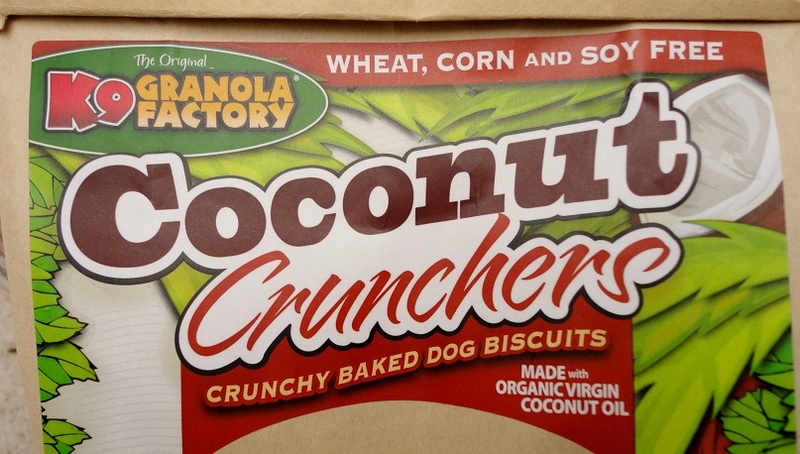 Perhaps a K9 Granola Factory Coconut Cruncher will perk you up, Little Blogger! 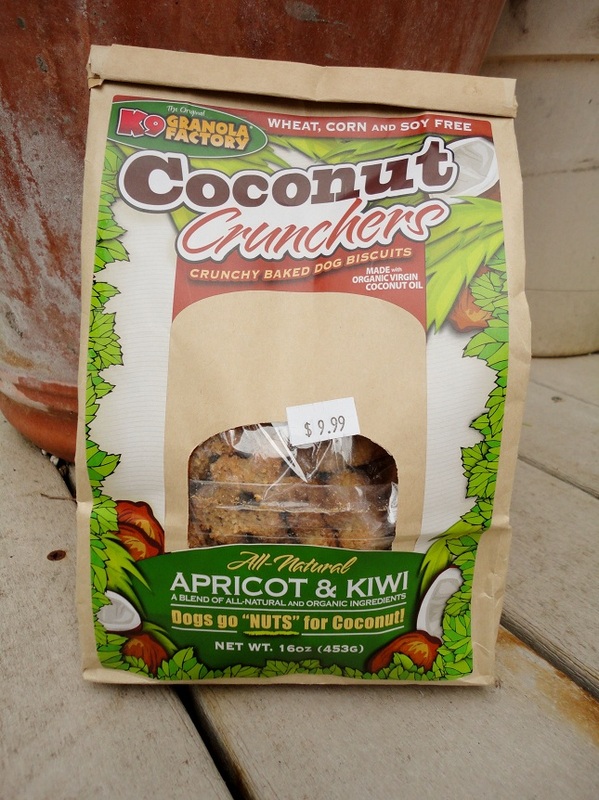 Teton and I went to a newly discovered local pet store last Friday evening and couldn’t pass up these Coconut Crunchers from the K9 Granola Factory. 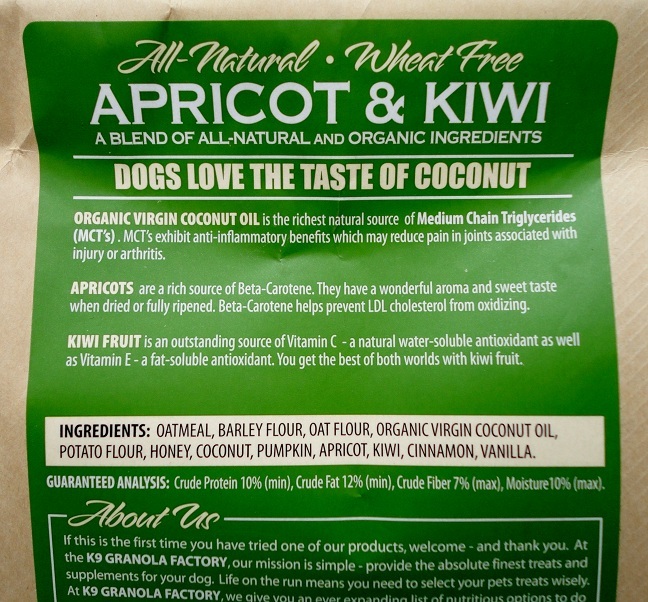 Wheat, corn, and soy free…made with organic virgin coconut oil?!?! Do you know how expensive that stuff is? Expensive slash amazing! Coconut oil is faaaaaabulous! It is high in omega-3 fatty acids and lauric acid (which has antimicrobial properties) and it hangs out in your body after consumption as energy rather than fat. It’s better for you and for your pooch! I’m sorry. Apricot, kiwi, and coconut?!?! Can I eat these? Okay, so I guess coconut oil is also a great source of MCT’s (Medium Chain Triglycerides), which may reduce joint pain. Who knew? This just keeps gettin’ better. Oatmeal, honey, and pumpkin?! Come to think of it, they do smell delicious. 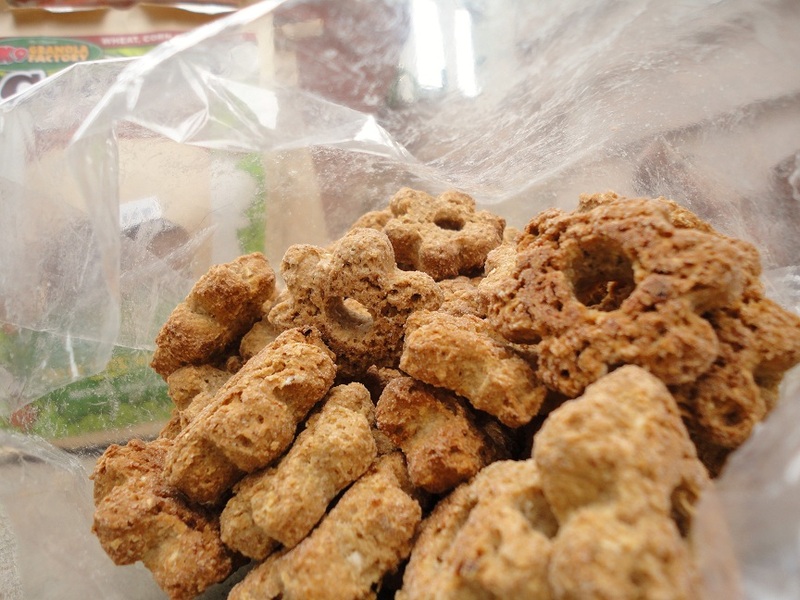 K9 Granola Factory’s Coconut Crunchers are a lovely size for a here-and-there treat. We won’t do more than 1 – 2 per day since they are quite a bit bigger than our staple treat. 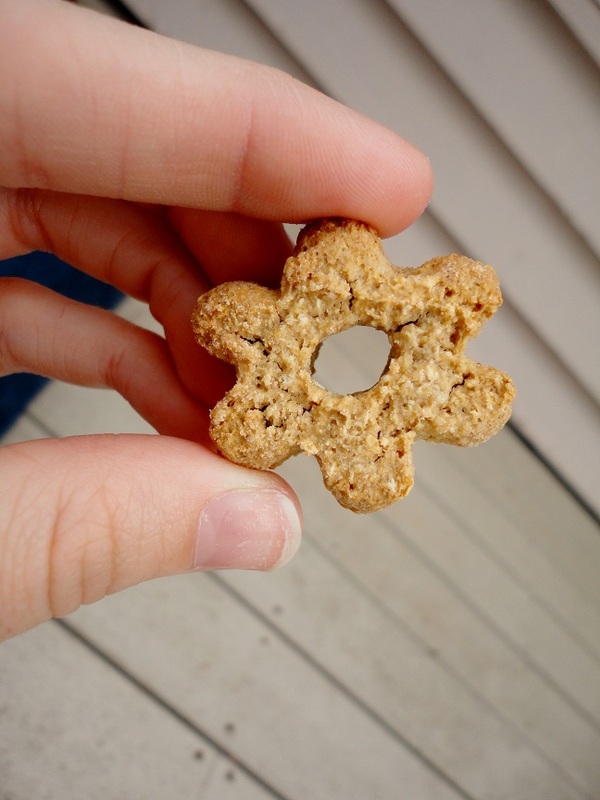 But, they do break nicely if you want to convert these to training treats. Coconut Crunchers have been a very special treat around our house lately. I can always tell when we try something new and exciting because it genuinely seems like it tastes better to The Little Blogger. Price: $9.99 for a 16oz bag is pretty steep. However, it’s unique and made with superior ingredients. 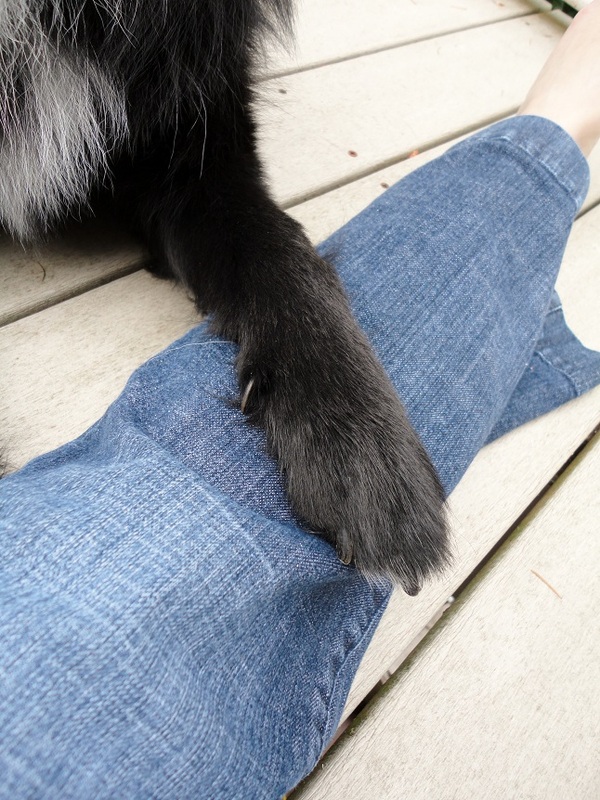 Have a friend with a dog? Why not split the cost and divide the bag in half? Ingredients: I’m mesmerized by the Coconut Crunchers list of ingredients. Minimal yet healthy and fun. We love that these have no corn, wheat, soy, or animal by-products. Usability: We would call this treat an every-once-in-a-while goodie. When your Furbaby does something that warrants an extra special treat, this is a fabulous option that they will undoubtedly love. 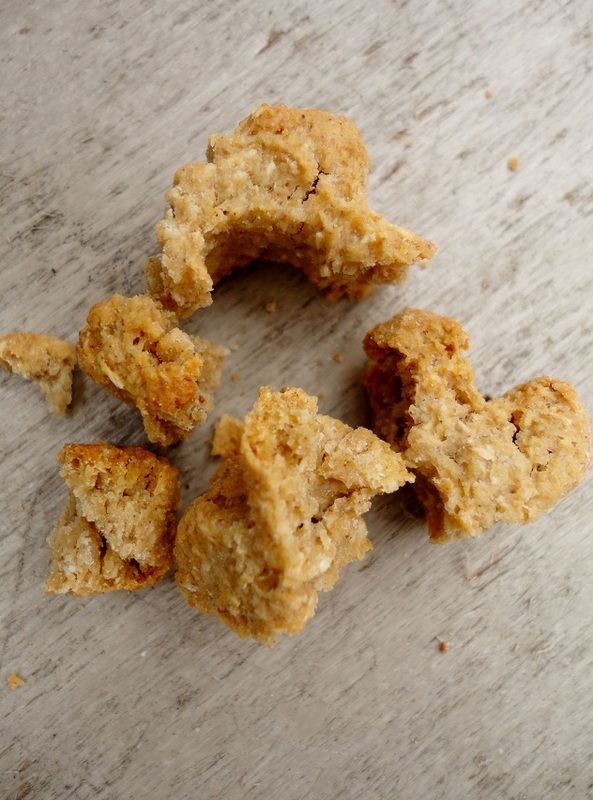 If you need to use it in a pinch as a training treat, it’s easily broken into smaller pieces. 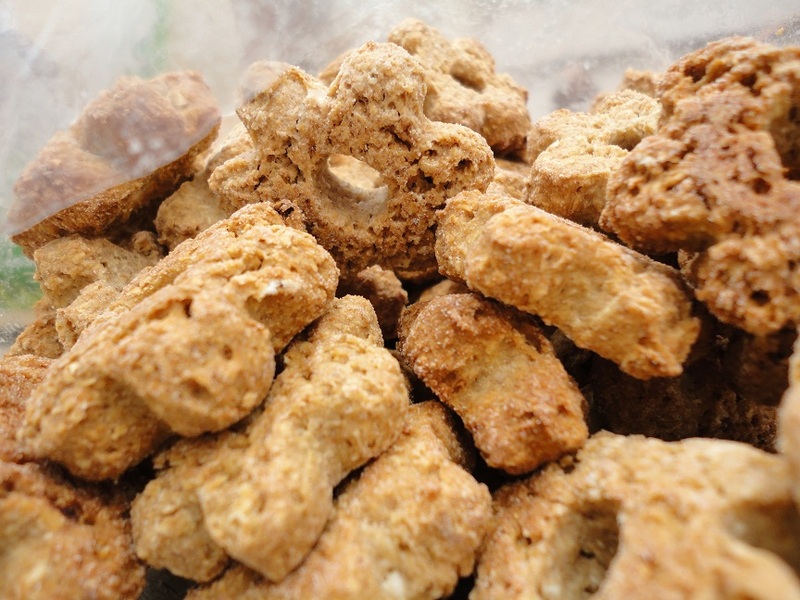 K9 Granola Factory’s Coconut Crunchers earn two paws up! Now, speaking of that Furbaby…we’re off to play some living room fetch! 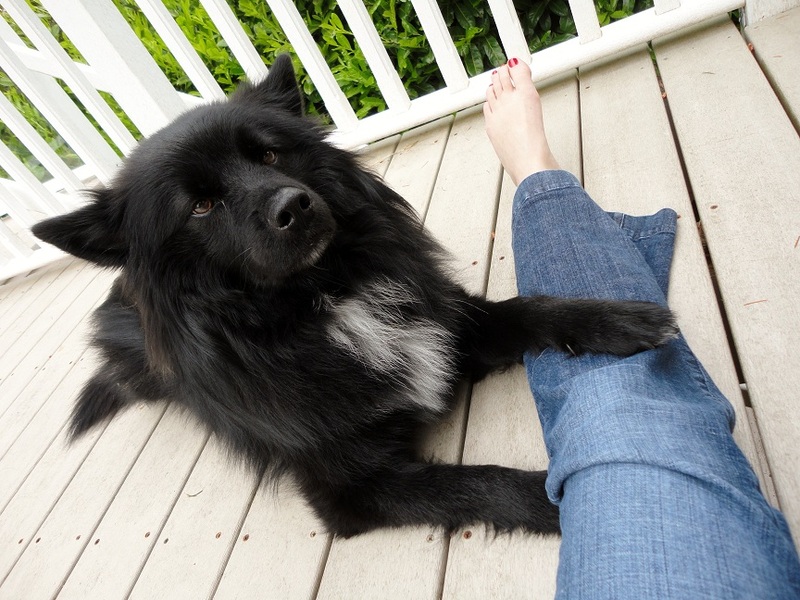 Posted on June 7, 2011 June 7, 2011 by Shannon	This entry was posted in Treat Jar. Bookmark the permalink. I kinda want a sample of Mr. T’s treats… Is that wrong? Me too — I think they look like some kind of cereal I had one time…..
Wowza – what an amazing ingredient list! I’m all for treats that are easily broken up into smaller bits. Gus likes to be treated often (don’t we all), so we always look for something either really tiny or that can be broken up. I’m not gonna lie, y’all. I had a bite. Not half bad.